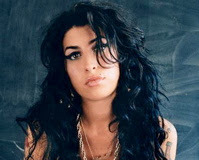 Singer Amy Winehouse has been denied entry to the United States for this Sunday's Grammy Awards, with her visa application being "rejected at this time", her publicist said on Thursday (February 7). The 27-year-old, who is currently in rehab seeking treatment for drug abuse, was scheduled to perform at this weekend's ceremony. She has also been nominated for a number of awards, including Album of the Year and Record of the Year. "The singer has been invited to appear at the event on Sunday after receiving an amazing six nominations for the prestigious awards. Unfortunately, her application for a visa to enter the United States of America has been rejected at this time by the American Embassy in London. "Amy has been progressing well since entering a rehabilitation clinic two weeks ago, and although disappointed with the decision, [she] has accepted the ruling and will be concentrating on her recovery. Amy has been treated well and fairly by the Embassy staff and thanks everyone for their support in trying to make this happen. There will of course be other opportunities and she very much looks forward to visiting America in the near future." Now she's gotta perform via satellite...I just hope she remembers to put the pipe away before she starts singin'.